Calligraphy literally means beautiful handwriting. 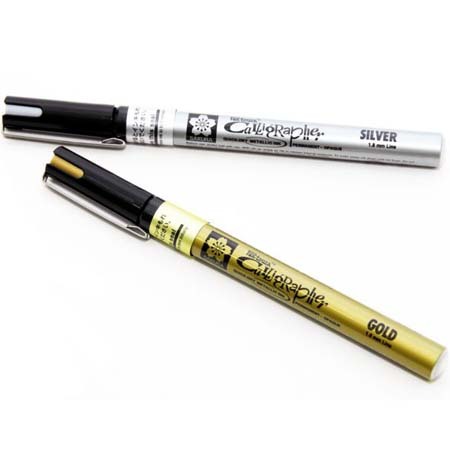 Anyone using these pens can create stunning decorative text. “Slow down”, “take your time”, and “go with the flow” – these may appear to be Zen-like phrases, but they are tips from calligraphers regarding the art of fine handwriting. The beauty of the scribed word continues to be appreciated because of its classic graceful style. Develop your own distinguished style of writing and make any occasion special. 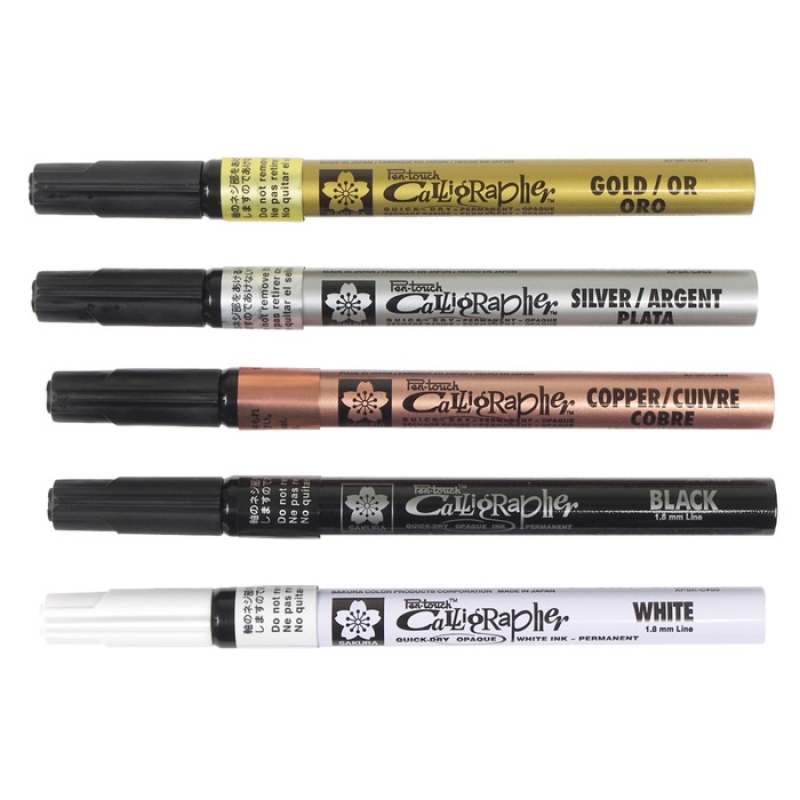 Easy to use, PenTouch Calligrapher was developed to enhance writing experiences of any skill level. Doodles, swirls, and detailed flourishing script is possible on a variety of surfaces. 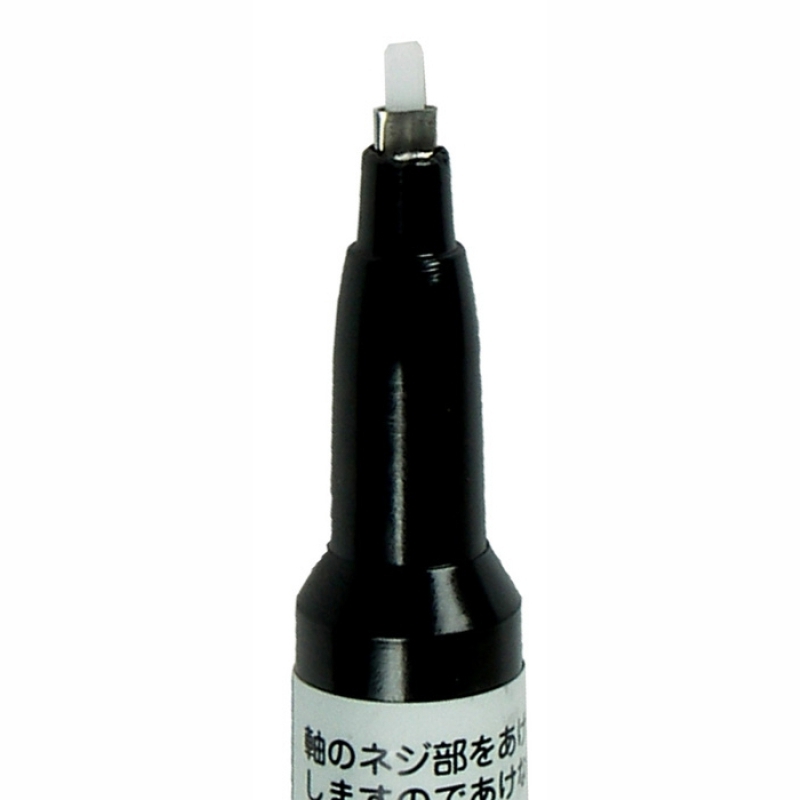 Paint flows from the chamber directly to the tip of the marker. A quick shake before writing mixes the colour. 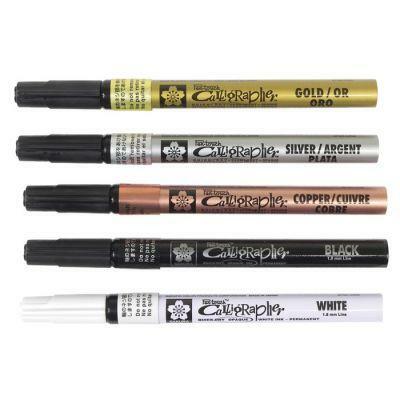 These pens are available in Metalic Gold, Silver and Copper, plus Black and White with a fine (1.8mm) nib.